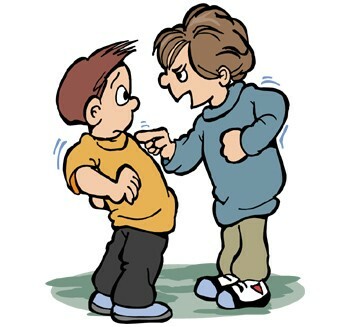 1)Discuss several reasons children might become bullies. They are usually just wanting attention and they think that it is the right way to act for reason of being raised in a house with a mean and angry family.They feel more important and powerful picking on someone else. They don’t usually realize how much damage they are causing or how hurtful what they are doing is. 2)What are some reasons children might be picked on? 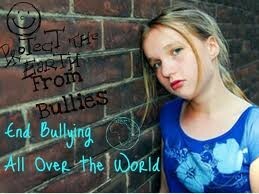 Bullies pick on other kids that are different or smarter than them or someone else. Sometimes they just pick on a child for no actual reason but to pick. 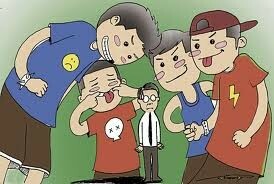 3)How can you tell who the bully is? When a person does wrong things and are mean to others and start to pick on some other people for no reasons at all. 4)What are three things a person can do to stop bullies? what is good about each of them? what are the drawbacks? A bystander can get someone to punish the bully, act like the bully is not bothering you, and avoid the bully. The person helps you and could have new friend, if the bully thinks he is not bothering you he will most likely go away and leave you alone,if you avoid the bully then he can’t get to you to pick on you. Sometimes these things might make the bully angrier and he might make it worse. 5)Who else could stop the bullying? what are some ways they can help? The other children around could get an adult and tell them that they seen someone picking on someone else. Any one could stop the bullying.